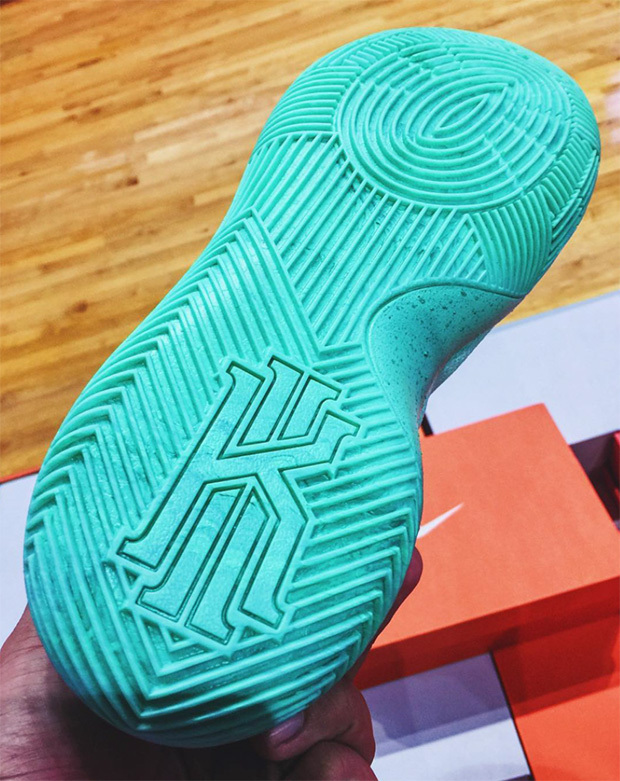 There’s only a handful of Kyrie 2 releases headed to retail shelves before we finally get our hands on the upcoming Kyrie 3, but the pairs that are releasing should garner as much attention as possible given their exclusive nature. 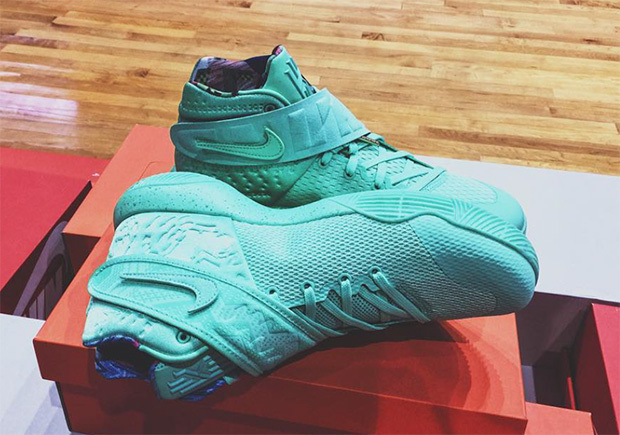 The What The Kyrie 2 is headed to store shelves on December 12th, 2016, but it takes a different approach than most mismatched “What The” styles from years past. 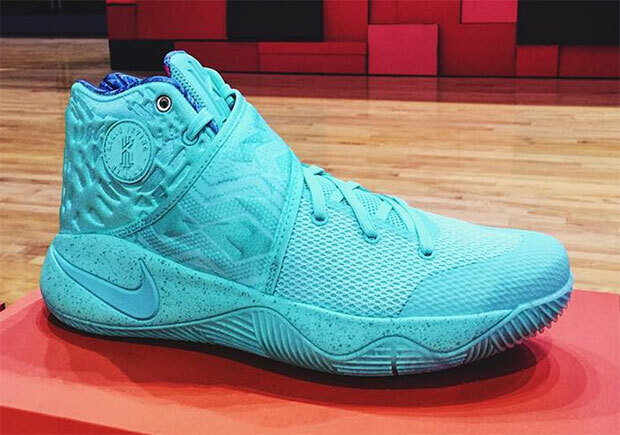 First, the shoe dons a monochromatic teal upper while standout features like a speckled midsole, mismatched patterns on the midfoot strap overlay, and that Huarache inspired Kyrie logo all make their way onto the What The Kyrie 2 from past standout releases. A unique swirling graphic lining contrasts the teal upper for a nice change of pace. 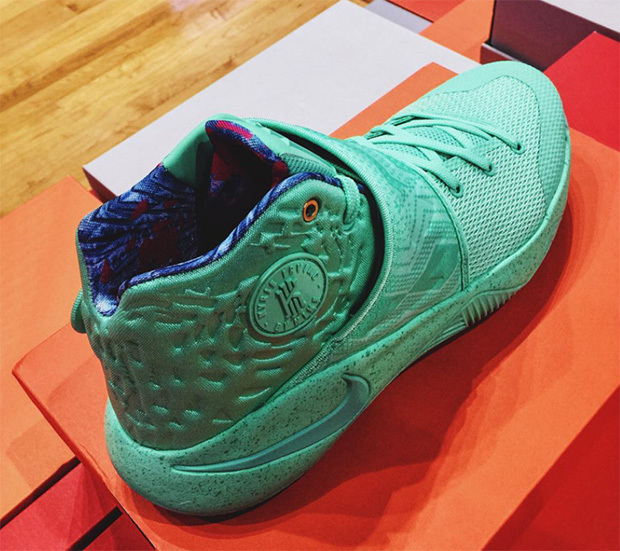 What do you think about the coming Nike Kyrie 2 “What The”? Check out more detailed shots below and grab your pair December 12th from Nike.com.